Zain’s Signature Vitamin Water Five Flavours – Winter Collection | Zain Jamal. Most American herbalists know ashitaba as the longevity plant (Angelica keiskei), a perennial plant native to Japan that has been used medicinally and as a food for thousands of years. It grows well in areas near seacoasts and is hardy to temperatures as low as 0 degrees Fahrenheit. The leaves and roots are edible—you can eat them either raw or cooked. Medicinal uses include this plant’s use as a diuretic and laxative and it is also reported to provide support for the immune system (though never ingest it without discussing it with your doctor first). Put the butter, the sour cream and water in a small saucepan and heat, but do not cook. Cool to tepid then add the remaining ingredients. Put in a kneader. If thick add more water. Let it rise double and cut into 16 equal parts. Baking tray lined with baking paper and cut the ears with scissors. Then, the eyes can be put, such as pepper grains. 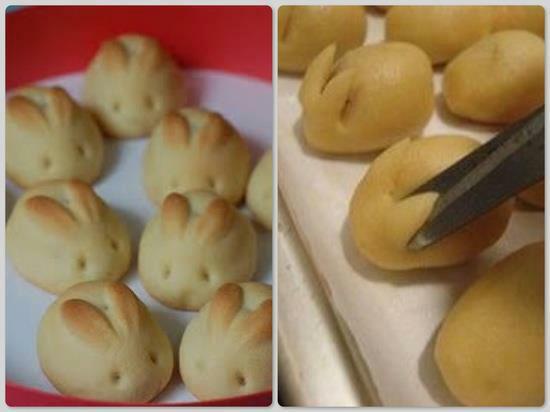 Bake at 375° for about 10 minutes or until golden brown. Horse flies putting a dent in your enjoyment of your patio and fruit flies taking over your kitchen were as annoying decades ago as they are today. Use these vintage plans to build a premium and extremely effective fly trap. Build the Cadillac of Fly Traps for a Fly-Free Summer. 75 Extraordinary Uses for Baking Soda | Life Hackery. At the Organic Gardening Test Garden, tomato plants grow in heavy-duty wire cages we’ve used for years. These square, vertical columns keep our tomatoes standing tall, even when wind whips through the farm. We expect to get a few more decades of use out of our tomato cages—they’re that durable. What’s the secret of their strength and longevity? Our cages are constructed from livestock panels—rigid, 16-foot-long fence sections, made of heavy-gauge galvanized wire and sold at farm-supply stores. The panels are designed with different sizes of openings for various types of farm animals. For this project, we chose cattle panels that are 50 inches tall with openings 8 inches by 6 inches. Panels with wider-spaced wires cost less and are easier to work with, and it’s easier to pick ripe tomatoes through the larger openings. 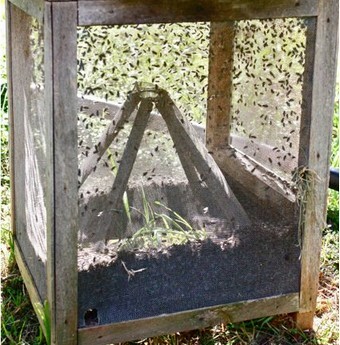 How to Make Super-Sturdy Tomato Cages: Organic Gardening. Rocket stoves and outdoor grills are great for cooking in a pot or skillet when the power is down or non-existent following a disaster or a worst case SHTF situation where fuel is either flat-out unavailable or intolerably expensive. There are some things, though, that cook best in an oven. One solution, of course, is to use a cast iron Dutch oven or camp stove. These are great options, sure, but what about something made from the ground we stand on? I am referring to what is commonly caused a “Mud Oven”. Until my recent visit to the Mother Earth News Fair in Puyallup, Washington, I did not know such a thing existed. Live and learn, right? 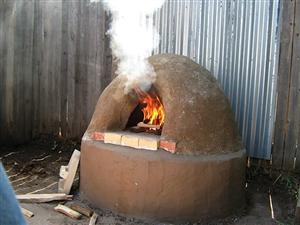 How to Build Your Own Outdoor Mud Oven | Wake Up World.